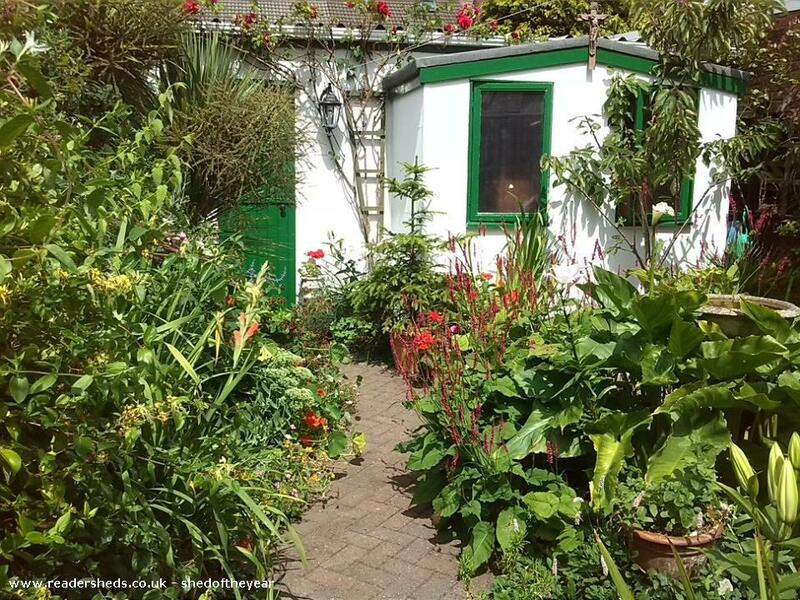 This "shed" is the Priory Chapel of the Congregation of Brothers of the Merciful Love of God and also the Cathedral Church of the Bishop of the Ecumenical Catholic Church UK (it houses his "Cathedra" or throne, which is what makes any church a Cathedral, not its size). 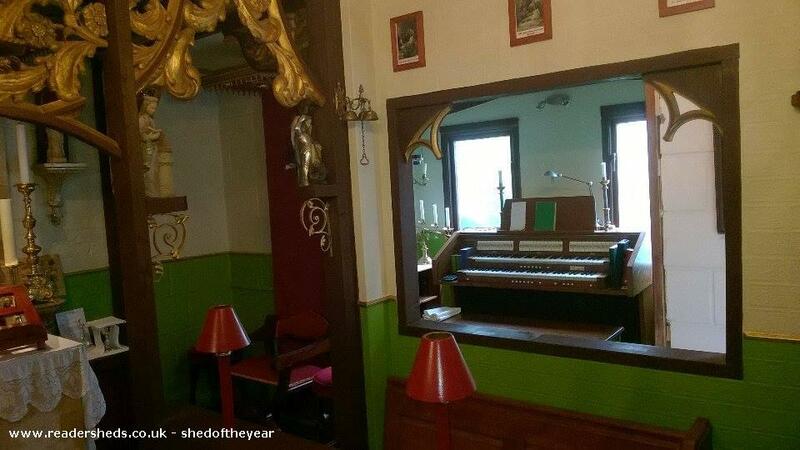 In it are celebrated full sung acts of worship (it has an organ) as well a daily Mass and Offices of the Church. The Priory Chapel and Cathedral Church of Our Lady of Beaulieu, to give its full title, was, in fact, built as a garage with an access lane between the terraces. 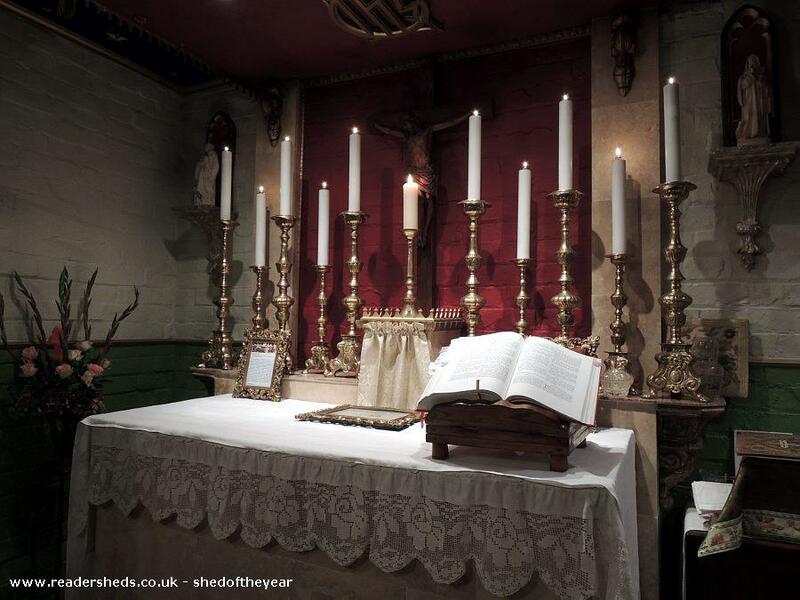 It was converted into a chapel during the early months of 2012 using materials from local suppliers and contains a number of artefacts of historcal interest, including a Rood Screen constructed from parts of the 19th century former organ case from New College, Oxford. It is a blaze of colour inspired by the mediaeval and baroque traditions. 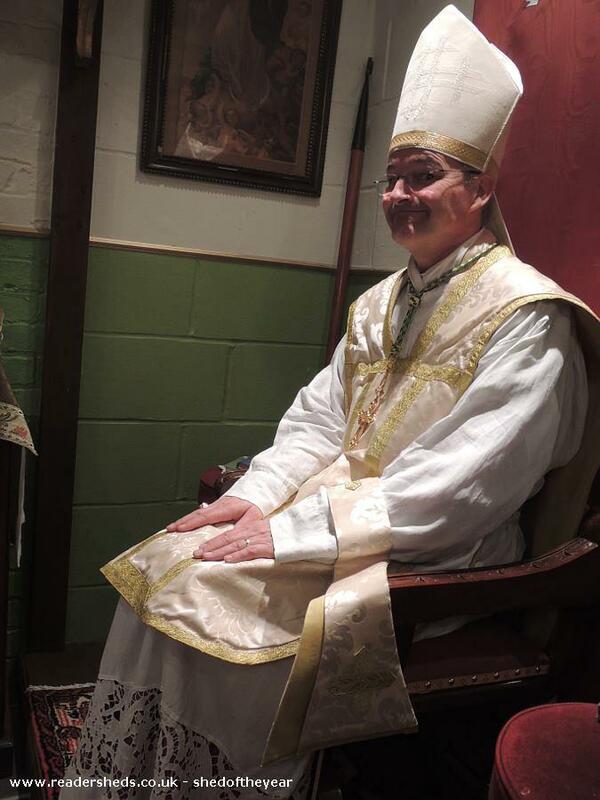 It can seat up to 20 people, including the Bishop on his throne. 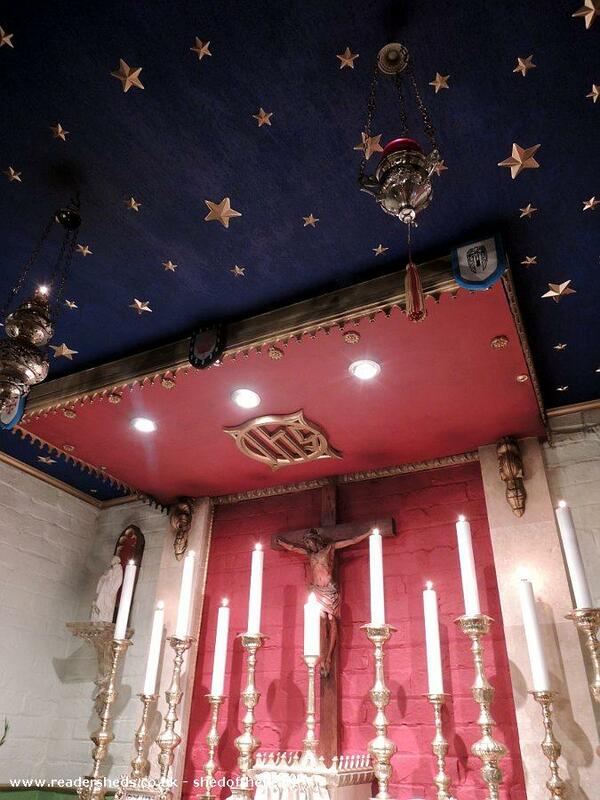 We are an independent church in the Catholic Tradition but are fuly inclusive and welcome all at our altars. 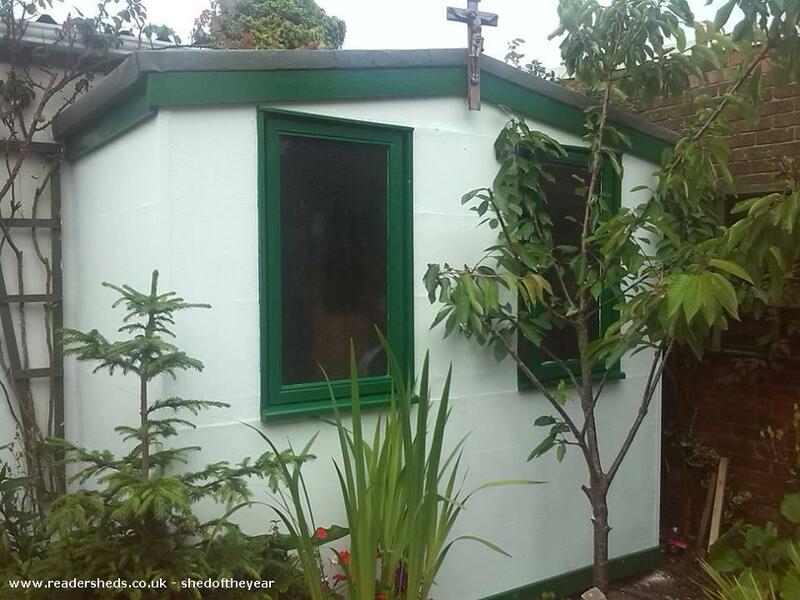 The Priory Chapel and Cathedral Church of Our Lady of Beaulieu is not a curiosity or "wendy house" but a fully functioning and serious place of worship with a congregation inclusive of many who, for various reasons, have felt less than welcome in the mainstream churches. The Priory Chapel (hence the dual name) is also the mother church of the Congregation of Brothers of the Merciful Love of God, a religious order in the Benedictine and Franciscan traditions. Fr Julian Kent made his Solemn Profession (life vows) before the Bishop as a monk of that Order in 2016. 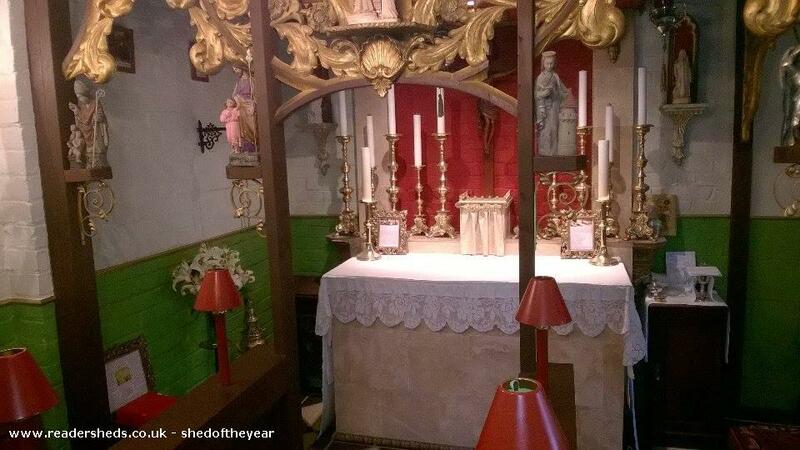 In March this year another brother (from Germany) will be ordained a Deacon, and a newly ordained priest of the Order (from Poland) will celebrate his first Mass in this place.